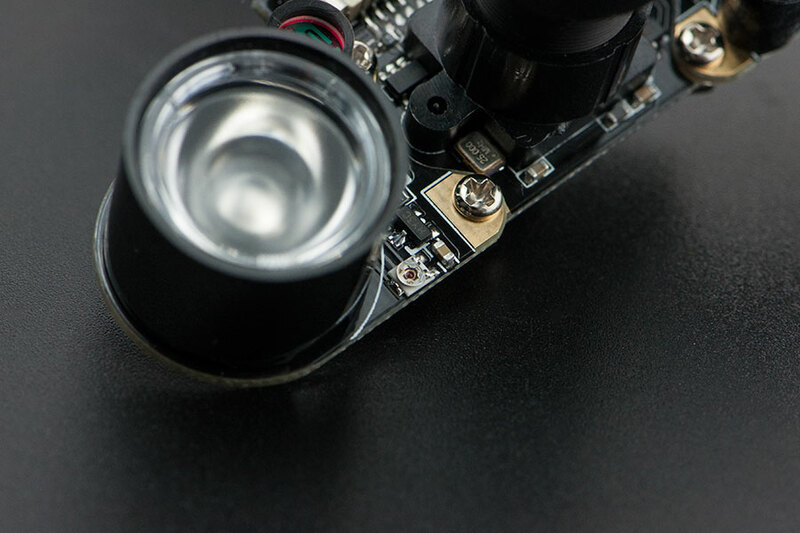 This 5MP Night Vision Camera for Raspberry Pi is compatible with every version of Raspberry Pi, and comes with infrared lighting. It has infrared night vision mode, and the focus ring can be adjusted according to the position of objects. With external 1W high power 850nm infrared photographic lights, it can preform very well even in dim environments. Photoresistors and adjustable resistance could detect ambient light intensity and adjust the threshold of infrared light switch automatically.